Five great art communities for retirement living. For many retirees, finding a place to retire hinges on finding not only affordable housing but also a community which values the importance of an active arts and cultural scene. Some might prefer the inherent advantage that a large, urban area offers in this regard, but others are looking for a small town with more intimate surroundings and are willing to forego such cultural assets as a major symphony orchestra, highly regarded museums and art galleries or performance halls. Instead, many artists or retirees who simply enjoy being surrounded by a vibrant art and culturally rich environment where the arts are an integral part of their retirement lifestyle and add to the overall quality of life for themselves and their neighbors. While there are literally scores of such communities scattered across the American landscape that would fit such criteria, we have selected five smaller locations which are not necessarily well known or widely publicized as retirement destinations. Situated in the heart of the beautiful Blue Mountains only thirty miles from Asheville, one of the nation’s premier retirement cities, the small town of Brevard is home to the Brevard Music Center, a summer institute and festival which, this summer, is celebrating its seventy-fifth anniversary. Every year, more than 400 students, ages 14 through 29, enroll to perform and study with members of a distinguished artist faculty.Held on the campus of Brevard College, the summer program is under the leadership of noted conductor, Keith Lockhart, who has led the Boston Pops Orchestra since 1995. Few towns of this size can match the outpouring of musical performances experienced by Brevard’s residents and festival visitors each summer, which can boast of more than eighty public performances held in a number of different venues spread across the campus’s 180 wooded acres.Notably, the Porter Center for Performing Arts at Brevard College has a reputation as one of the finest performance halls in the South, and its acclaimed concert series has brought in some of the world’s most talented musicians …such luminaries as Doc Watson, Herbie Hancock, the Emerson String Quartet and a host of other greats. Appearing this year at the festival’s final concert is famed cellist Yo-Yo Ma. But the wealth of artistic influences in Brevard encompasses much more than an appreciation of good music. There is an active community arts council, a thriving little theatre and a number of galleries and artists co-ops. In fact, with a growing influx of professional artists, musicians, writers and performers living and working in the region, Brevard is becoming widely recognized as a vibrant cultural center, one that is attracting more and more retires to relocate and become active participants in this rich artistic climate. With a population of less than 1,000 people and located in the arid Arizona desert, fifty miles south of Tucson, the village of Tubac would seem to be an unlikely artists colony, but it is, in fact, a true working artists community, home to more than thirty art galleries and studios. Although perhaps not as well-known as other Southwestern art meccas as Santa Fe or Taos, New Mexico or Sedona, Arizona, Tubac offers the panoramic mountain vistas, vibrant and vast colorful horizons and magical qualities of light found in those areas and that have attracted artists to this magical Southwest landscape for generations. Adding to these artistic features is a rich cultural heritage influenced by the presence of a deep-rooted native-American and Spanish traditions and it is easy to understand why so many landscape painters and other artists and crafts people have been attracted to Tubac. Although thousands of art lovers visit annually, the big event each year is the Tubac Festival of the Arts, which showcases the work of hundreds of visiting artists, craft persons and musicians from around the country and Canada. The show is notable for its mix of quality, juried entries which the street with more unpretentious works and whimsical sculptures.While the show is juried for quality, it is not pretentious. Serious paintings share the street with whimsical sculptures and New Age music. The Tubac Center of the Arts was formed in 1963 by community leaders and local artists as a venue to encourage and attract artists and promote artistic activity. Today it houses three galleries of exhibit space, a Members’ Gallery, performance stage, shop and library. From September to May, the Center sponsors a variety of member artist, regional and national exhibits, a performing arts series, art and cultural workshops for adults and children, an adult choral group and several benefit events. With a population of less than 15,000 people, Traverse City has an exciting and varied arts landscape that is, perhaps, unrivaled by any other city in the country of similar size. 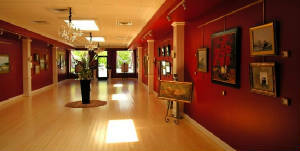 The nearby Interlochen Arts Summer Camp and the Interlochen Arts Academy are the area’s major and best-known resources, placing Traverse City at the hub of a regional artistic and cultural movement that, over the past several decades, has spawned the development of dozens of galleries and studios, as well as instilling strong community support for the performing arts.These galleries feature a wide range of works, ranging from paintings, sculpture, glassware, photography, folk art and more, created by local, regional and national artists. A local institution for seven decades, Interlochen is clearly the dominant artistic influence, boasting a schedule that currently presents 750 concerts, visual art exhibits and theater and dance productions annually. It is considered to be among the country's premier training centers for young musicians, dancers, actors, visual artists and writers. But the cultural climate of the region is much more expansive than just this singular facility, and there are a number of other local institutions and organizations that actively support and encourage the enhancement of the arts in and around Traverse City. 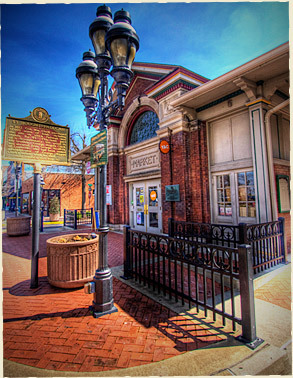 Notably among these are the Old Town Playhouse, several museums, the Traverse Symphony Orchestra and the City Opera House, a historic Victorian-era which has been restored to prominence and, today, serves as a unique venue for entertainment and arts opportunities and educational programming,In recent years, this vibrant arts environment has played a major role in expanding the region’s appeal as a highly desirable place to retire. Combine this asset with Traverse City’s location on Lake Michigan and its growing reputation as a golf resort mecca, and it is easy to understand why more and more active-minded retirees are choosing it as their ultimate retirement destination. Over the course of the last fifteen years, Watkinsville has virtually transformed itself from a rural, agricultural community into a vibrant, bustling small town with an attractive downtown with upscale restaurants, salons, antique galleries and retail shops lining Main Street. In large part, much of the credit for this resurgence of economic activity and enhanced quality of life can be attributed to the development of a thriving and expanding arts community. 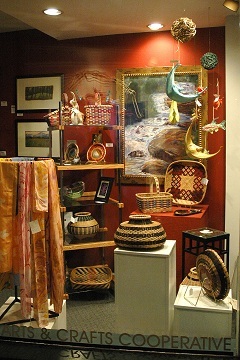 Touting itself as "The Artland of Georgia," Watkinsville, along with surrounding Oconee, is a haven for a host of talented artisans and crafts persons. 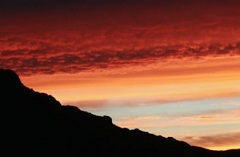 Painters, potters and others have discovered the area offers a tranquil environment from which to draw inspiration. This burgeoning arts community has been aided and influenced by the development of the Oconee Cultural Arts Foundation (OCAF), a citizens-managed arts council dedicated to developing and coordinating programs and activities for all citizens residents. Housed in a renovated high school complex, OCAF works with the professional arts community through arts and crafts festivals, classes for children and adults, workshops and seminars for artists, and musical and theatrical performances. Its annual exhibits of art and pottery draw hundreds of entries from across the state and are attended by thousands of art lovers. Another major asset to the local arts scene is the Oconee County Civic Center, a 500 seat performing arts theatre with an orchestra pit, stage and excellent acoustics which is host to concerts, plays and other functions. In addition, the proximity of the University of Georgia, just about 30 minutes away, provides a unique opportunity for retirees living in Watkinsville to take advantage of a diverse menu of cultural activities including the significant collections of The Georgia Museum of Art, and the varied performances presented throughout the year by the University's drama, dance and music departments. From fine arts to fine entertainment, appreciation of fine things is apparent in the vast activities available to Oconee County citizens. Although this Kentucky river town, situated on the banks of the Ohio River, is not generally mentioned in most lists of great art towns, Paducah's residents enjoy a historic downtown filled with a variety of art galleries, shops, restaurants, museums and other cultural attractions, including venues for live theater and concerts. Many of these are housed in beautifully preserved buildings and homes. In fact, Paducah has received a great of media attention as a result of its aggressive community-sponsored efforts to promote economic development in the city's historic downtown and the LowerTown Arts District neighborhoods with a series of financial incentives designed to encourage artists to relocate to this progressive city. Partnering with local banks and cultural organizations, the Paducah Renaissance Alliance designed a program of loans and matching grants that provide artists funds to assist with the acquisition and renovation of properties within the Arts District. As a direct result of such relocation incentives, numerous structures have been transformed from neglected and vacant buildings into galleries, studios, restaurants and related uses. Today, Paducah, especially the downtown area, is a community that revolves around the arts, a place where visitors and residents alike can experience a vibrant cultural scene with businesses that are flourishing and historic structures are now occupied as live/work homes and urban-style loft apartments and condos. 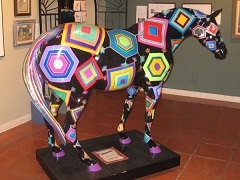 Paducah's reputation as an art center is further enhanced by its site as the home of the National Quilt Museum, which hosts thousands of quilters and quilt enthusiasts each year for the City's annual quilt show. 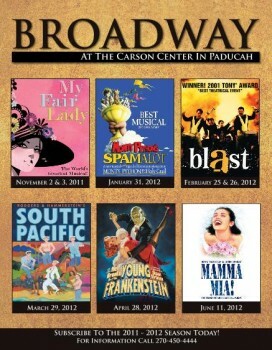 Residents of the City have a number of artistic and cultural opportunities available to them, including the Paducah Symphony, The Carson Center, a new 1,800 seat performing arts center which hosts Broadway hits, theatre, dance, and a musical series with big name entertainers and traveling productions year-round, as well as a strong and thriving community theater group, the Market House Theatre. Retirees who are giving thought to embarking on the next stage of their life as a working artist may well find it advantageous to consider the active cultural climate of Paducah, along with its financial incentives for relocating artists, as a prime retirement destination.